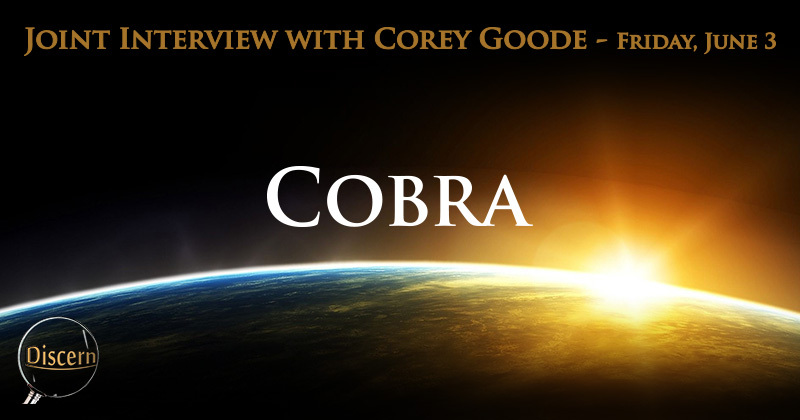 Here is the transcript and the audio of the second part of the joint Cobra / Corey Goode interview by Rob Potter. Rob Potter: Ladies and gentlemen, we’re back with Corey and Cobra for Part 2. An extremely interesting interview. Both of these gentlemen are confirming each other’s intel with a few additions by each. I hope you are enjoying this unification and remembering about the Full Disclosure Meditation, the Secret Space Program conference in Mt. Shasta, as well as we’re having Cobra’s Ascension Conferences coming out. 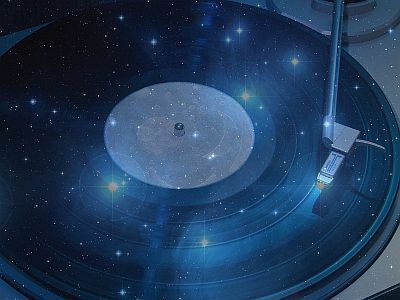 So lot’s of places for you to connect with other light members and become instrumental light bearers or information givers to people in your community. This is really about letting people . . . preparing for some tremendous changes that are coming to the surface of the planet and we’re looking for clarity in these interviews. Rob: Yeah, you have stated the Blue Avians are here because we are a parachute, as you termed it. It seems the Earth’s mess is kind of holding them back from evolving. Is that correct? Corey: Yes, and that’s the case with all beings that follow the creed or kind of model and tinker and create other beings. When they progress past that point maybe thousands or millions of years later, they cannot ascend to other levels or progress further until they go back and deal with their creations and whatever karmic entanglements they have with them. But we’re not a creation of these Sphere Beings, but their actions that they had millions and billions of years ago somehow had them tied with us to where we have to ascend or reach our next level before they can fully. They’ve gone as far as they can. Their goal is ultimately to return to Source. Corey: That’s in the answer I pointed out. Rob: Yeah, they may not be here at this time to intercede otherwise, possibly. Does that make them self-serving as well? Corey: Yeah. Kaaree used that to kind of punch me in the stomach, because she, I guess, took issue with their position that her people were Service-to-Self. You know, when it comes down to it, if we’re all One and we’re all karmically tied, or we’re all tied on some level, every type of entity would have to be, by that definition, Service-to-Self. Before they can return to Source they have to make sure that we are on the right path or moving on the right path. I guess, in that context, on that grand scale, I guess you could label them that. Rob: Yeah, it just seems like they have bigger technology that everyone has to listen to them. Cobra, I’d like your comments on that little dialogue there. Cobra: Okay. The whole galaxy is a living being. It’s a living entity and all cells in the galactic organism are connected. So if one single cell is infected with a cancer, the whole galactic body cannot evolve fully. And no race in the galaxy can evolve fully until the Earth’s situation is resolved. And the division between service-to-others and service-to-self is artificial. It’s a programming attempt to divide beings. Each sentient being needs to first take care of himself before he can help others. The key is in the balance of taking care of your own needs and then helping others. And evolved galactic society keeps that balance. And taking care of your own needs does not mean stepping upon others. It means creating a respectful cooperation throughout the galaxy and this is what the evolved galactic races have achieved. They have created a civilized society when there are no wars needed, no conflict needed. Actually, conflict is an aberration. It’s an anomaly. And for most of the galaxy what is happening here is pure madness. They live in a reality of love, in the galactic ocean of love, and for them, what is happening here is pure madness. Rob: Thank you very much and I would have to agree with that. We’re definitely in a madness situation down here. I would like to make a little comment here. 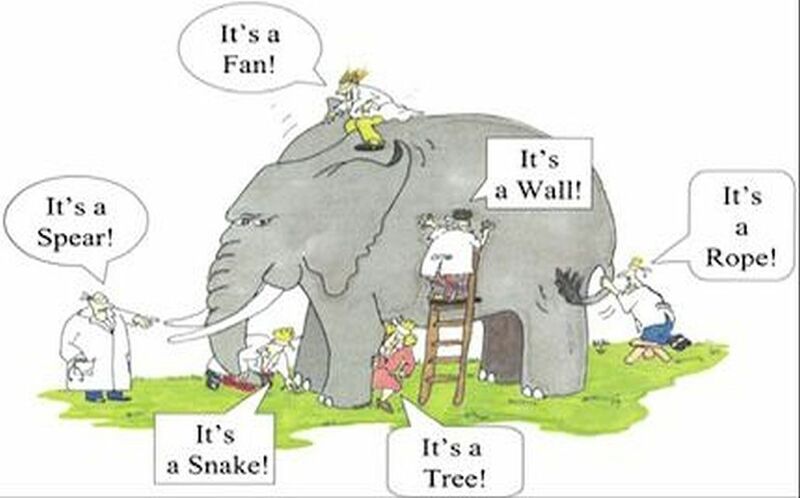 I’ve heard and felt the same thing that we’re all one and that, you know, people are here trying to resolve this situation of what’s going on here. And for those of us down here, we’re the same way. And if we could on the Earth . . . You know, we look around, we’re separated by programs and borders and Cabal. If we could realize we’re all one people and that people are starving in Africa, there’s little children, orphanages, and people that are homeless throughout the world and suffering, that we’re spending money on other things. We could feed our neighbors. We could realize ourselves as one. And this is coming and this is what this movement is about for people to wake up and for the leaders to be honest and just. We’re going to bring out some differences here. We’ve established a lot of unity. And I’m looking for clarity. This isn’t to emphasize the difference. Cobra, you have stated that the artificial intelligence that Corey kind of delineates that I would call the plasma scalar field mind-control network, which is multi-dimensional and it is reinforced by physical technology, but you say that it can be turned off and is part of a scalar plasma fence, which is linked to certain Cabal members and Chimera, including toplet and strangelet bombs, the point being that this is a sophisticated supercomputer that reacts so fast that it appears to be sentient. Can you talk about that version of your understanding of this control network? Cobra: Okay, it’s a matter of terminology. Basically, what we have here is sentient organic intelligence that uses technology, that actually uses technology as its body. Fuzzy logic software program is part of that body. So one person could say, “Hey, this is artificial intelligence. This program thinks and makes decisions.” When in reality, there is a being behind that program that makes decisions and is assisted to a great degree by that program. So if you would look from a certain perspective, what would appear is that the program is making decisions. But there is always an entity, a living being, free will, which is behind those decisions. And the Chimera group has invented so-called artificial intelligence millions upon millions of years ago and has tried to spread its infection throughout the galaxy through scalar plasma networks. And they were successful to a certain degree, but I would say that the most evolved cosmic races know how to deal with that. Rob: Thank you. Corey, you have a slightly different version. Could you talk about your understanding? And, I guess, some of this is coming from the glass pads, but you’ve stated that it’s its own thing, kind of like the Terminator or the Borg, as we said. Could you share the information? You’ve said that it’s actually infected multiple galaxies. Can you comment on your version? And then we’ll have you comment on each others comments. Corey: Some of what Cobra said sounds like a little bit of a mixture of two different technologies if I’m understanding him correctly. I could be misunderstanding him. There is a scalar mind-control grid that has been around the Earth as long as there have been humans, you know, walking around. We can simplify it and call it a mind-control grid or a control grid. There are two giant cruisers, or ships, that are not occupied. They are controlled by, basically, what we would call computer program. They complete the circuit of this control grid, most of which is down on the Earth. This is something that can be shut down. They’ve talked about shutting it down, but they think that shutting it down . . . it’s going to be very rough on humanity if . . . It’s the excuse their using for not shutting it down. But the fact is that newer Special Access Program groups have studied this technology and they’re mimicking it and they’re using it for their own means. The inter dimensional AI signal that I’m talking about is a signal that was broadcast and it came in from another reality many, many millions, if not billions, of years ago. It cascaded its way through multiple galaxies, and in the manner I’ve described, it has infiltrated people’s bio neural fields. It has infiltrated technology and exploited technology, but it’s not technology. It’s not an actual artificial intelligence technology that’s created by organic beings here. It is a pervasive signal that now broadcasts itself through relay systems that it has tricked organic beings into creating for it. This is something that these more technologically and spiritually advanced beings can deal with. Many, many, many lower-tech civilizations that are a thousand years more developed than ours on the surface are subject to having to deal with this threat. Rob: Okay. This is completely different. Cobra, can you comment on or have you heard of this other kind of universal AI intelligence? Corey has stated that this intelligence lays nascent in hiding and then comes out, influences organic beings to create technology that it can then live inside. It can actually be in a computer. If you touch a technology, it can infect you and then it can receive from you. It has its own intelligence, he said. Cobra, can you confirm this? Can you say that you understand this or do you have a different view? Cobra: Okay, my understanding is that this is plasma consciousness that can use technology as a vehicle of spreading the virus. I can confirm that this virus has infected one part of this galaxy, one part of the Andromeda galaxy, and one part of the M33 Galaxy in Triangulum, and to a very, very limited degree certain other galaxies in the local cluster of the galaxies. I can also say that the Resistance Movement has dealt with that issue and for their own society they have handled the issue. So if somebody would like to enter the Resistance Movement, they need to go through a certain cleansing process. It is something like a shower. You need to take a certain shower that removes all parts of that signal before you can even enter their region below the surface. And they have also assisted quite much in removing this from the surface. They have not been 100% successful, but they have been very successful, and they have actually introduced a certain technology into shower gels through certain multinational corporations. And people using those shower gels were actually . . . they were being assisted in the removal of that virus, that signal. And, again, it was not 100% successful because the Chimera group have their own means in maintaining this, and the easiest way for them to maintain this is with people who are the most mind-controlled and the most under the plasma influence. Corey: There is a plan that’s a part of the natural process of what’s going to occur with the energetic waves coming in to our solar system through our sun, there’s going to be an event that’s going to completely purge the signal from our solar system at some point. Cobra: This is exactly what I’m speaking about the removal of this plasma scalar field removal of Yaldabaoth, this octopus entity, and this is exactly the Event. When this plasma field is removed, that is the moment of the Compression Breakthrough. Corey: A solar event that’s going to have a lot of issues with electrical equipment and stuff like that, but it’s going to be what’s needed to push that signal out while they’re reintroducing some other very advanced technologies that will not be as vulnerable to this signal. Rob: That will kind of put a shield up for us. That’s great. One more question on this for you, Cobra, was: “He said that this . . .” – the inter dimensional part. You were saying that it’s connected, it’s a technology, it can be turned off. From what you guys are describing this signal still is going to exist but it’s going to be pushed off the Earth but is still involved in other parts of our super-cluster of various galaxies. Corey: Well, what’s occurring is these advanced groups have created a dampening field that does not allow the signal to broadcast within the sphere of this dampening field like most of them do. And I guess it is a shield of sorts. It effectively neutralizes the signal. Cobra: Okay, according to my sources, the increased activity of the Galactic Central Sun is precisely the means to erase that signal from the galaxy. So the increased flow of particles, and I’m speaking of physical and nonphysical particles, and waves of energy, it is a purging effect that will actually clean the whole galaxy. This signal will not exist anymore, anywhere. It’s an anomaly. It’s an aberration, and it will be removed. And this is what the gnostics speak about when they say “correction of the original sin” and the “original sin” was actually an anomaly, which needs to be corrected and it’s corrected with this new energy which will heal the distorted space/time structure and this signal, which is just one aspect of the cosmic anomaly. Corey: The information I have heard is that galaxy wide, the signal will usually return after a 1,000 years, which galactic-wide is not very much time after different galaxies have had their galactic emanations. It’s a pernicious problem, but it’s one that can be managed especially as we progress spiritually and technologically and catch up to these other groups. Rob: Okay, thank you. I had a brief conversation with Alex Collier recently – I’m going to do another interview with him – and he was more along the lines of Cobra that it’s a technology-type of thing and kind of said that it’s a, and from his understanding with his conversation with the Andromedans, that it’s different. So I guess we’ll have to wait a 1,000 years and hopefully disclosure will reveal a lot of this information for us. I wanted to go into something here. I was going to save it for later, but we’ve talked about the clearing of this energy from the heliopause with a system. Dr. Frank Stranges also spoke about this at a certain point in time . . . and I want to talk about the cleansing technology. He maintains that when he went on board the ship, the Victor One, with Commander Valiant Thor, that they kind of walked you . . . it’s like a magnetic field kind of thing that cleansed him before he could go on board. His clothes were taken off and this type of thing. I’ve also heard from the past Atlantean, some transcripts I’ve read, that they take this artificial intelligence thing very seriously. Fred Bell had indicated to me, as well as Bob Reynaud of the TerraKor Files, has indicated that when an ET, who has been serving in the Earth situation, before they’re allowed to go back to their planet, they have an extremely prolonged security debriefing protocol, which is really more of an luminous and a soul-energetic cleansing to make sure this AI is not in there. Have you – either of you . . . Can you confirm this technology has been around for a long time and a lot of worlds are very, very concerned when people return from earth how about this? Corey, first, I guess? Corey: Yeah, absolutely. We were warned and warned and warned by these different non-terrestrial groups not to mess around with this AI signal or these different artificial intelligence technologies that developed from information that we received from this inter dimensional AI signal. Rob: Of course, the ICC and the Nazis disregard it and that’s our state of being. Corey: Yeah, yeah. And not only that, they started using this AI’s probable future technologies to help them stay one step ahead. There’re so many times we heard that the Cabal’s going to go down. There’s going to be mass arrests. Well, they’ve been able to stay one step ahead of a lot of the Alliance moves with this technology. But this technology has not been working for them recently. That’s another thing that’s thrown them in disarray. They’d become so heavily reliant on this probable future technology, and it’s not just using remote viewing and all these different things, but they’re now falling back on them. They used to have all these different ways of looking at probable futures, but these certain factions became so reliant on this AI probable future technology that now they’re in chaos, because it’s not working for them. Rob: Cobra, can you comment on the positive light workers that go through this? You say the Resistance members made humans go through that. Is there any of the Resistance or the positive ET technologies when their groups are down here and they go back up? Do they have to go through this cleansing as well? It’s not like you consciously engage this stuff. It comes into you subtly through your subconscious. Is that correct? Cobra: For the Resistance members that come to the surface and go back, it’s quite a process. They go, as I said, through something that looks like a shower. Then they go through a shower that is actually a scanning device, and it scans their physical body, etheric body, plasma body, astral body, mental body, everything, and removes every kind of infection before they can enter. And then, of course, they have the medical check. They have other checks before they can enter again. And this is quite a procedure. And this is really why they don’t like to come to the surface because they know when they come back they have to go through all that process. And the surface of the planet is infected and they know that. And they are very careful about this. The technologies to disinfect the surface will be available at the time of the Event, not before. When the Light forces have more power than the occupation forces, this is when the technology breakthrough will happen at the same time as the Event. I was not speaking about this before, but there are certain technologies that the Resistance have and other Light forces have that will be brought to the surface at the moment of the Event that will disinfect the surface from many things. This is one part of the Compression Breakthrough. So the living standards on the surface are artificially low also because of this. This infection creeps into the consciousness of human beings and this is why they are so depressed, so uninspired. And I would say the vast majority of human conflicts that are happening are engineered. They are not real. And this is all orchestrated by this technology. Rob: Well, this is wonderful. It confirms a lot of the information that I’ve had. You buys have both confirmed that this technology exists. Corey: I realized I didn’t answer your question directly, but yes, full spectrum decontamination is a standard operating procedure for just about any group when you’re mingling with a group other than yours or you’re going out of a controlled environment into what we will call an alien environment for them. Rob: Yes, I’ve also heard they have extensive psychological questions and answers even after the screening that they’re very careful when a person returns. It’s very interesting. So that’s it, folks, we can look forward to some, I guess we can call them virus showers. I’ll get one and I don’t care if we’re out of hot water, I want one. So that’s very interesting. I’m glad we cleared up this information in regards to the AI intelligence there for you folks. My suggestion that I talked about long ago in 2012 on Cobra’s portal was my understanding is that it feeds off the mind and your focus, so you can starve this field through entering into the silence and you have the will of your own thoughts and your own decisions to disregard these negative impulses if you hold fast to a virtuous life. So here we have another question that kind of relates to this event breakthrough plasma field clearing of the Earth. It was noted on the official NASA website – we’ve talked about this energy and the cosmic winds coming from the sun – on the Internet it showed that the magnetic fields of the Earth actually kind of went into kind of a calm state. Can either of you comment on that recent event? Was that a technological thing that didn’t register or was this an actual change in the Earth’s magnetic fields that took place recently? I think it was about within a week to 10 days ago. Corey: Well, yeah, the Earth’s magnetic field is connected directly to the sun’s, and as the sun is going through these different changes as the cosmic energy is funneling through it through the cosmic web, there’s going to be interaction. It’s going to ebb and flow – the electrical field of the planet. Rob: Okay, so this was kind of a natural change that had a kind of a . . . it went to pretty much a zero calm state with the cosmic . . .
Corey: The report that the shield drops was incorrect that they went completely down. I’ve seen reports . . . I have a bunch of emails. I had asked about that in my last briefing and I saw the charts and stuff. It did not drop completely. Rob: No, no, no. It didn’t drop completely, but it definitely changed. Cobra: I would put it this way. Every planet on . . . and every star has a plasma field around it, and the plasma field around the sun is called the solar wind. And the plasma field around the Earth is interacting with that solar wind. The magnetic field shapes and curves the plasma entity and the plasma entity is not just particle, it’s a living being. And in the case of this solar system, the plasma being is called Yaldabaoth, the octopus entity. And there are many Light forces working on transformation of that plasma entity. It’s actually an entity which is trapped into cosmic anomaly. And what is happening is that the Light forces are sending energies of healing and transformation in this plasma entity and this is why the oscillation and perturbations in the solar winds are happening. And NASA has released an image or a video animation of a spiral movement of the solar wind which looks exactly like an octopus. This is scientific confirmation of the intel I have been releasing. It’s actually a living being which reacts to our cosmic winds, cosmic forces. And the heliopause is the area where the solar winds, the solar plasma field and this entity meets the interstellar wind or so-called galactic consciousness. And the galactic wind, interstellar wind, is part of the galactic plasma entity which is called Pleroma in some old gnostic sources. The Pleroma is the light emanation of the Galactic Central Sun and it creates . . . It actually brings light to the whole galaxy. And this interstellar galactic field is an Ocean of Love. So when this, I would say, not-healed solar system entity, this octopus, meets the Ocean of Love, this is where the healing happens. This is one way of describing it. And the region where that happens is the heliopause. This is why there is so much focus on the heliopause recently. And whatever happens there then, actually, it cascades down through the whole solar system and will eventually trigger the Event on the planet Earth. And the changes in the Earth’s magnetosphere and the Earth’s plasma field, Van Allen belts, is a direct consequence of what is happening in the heliopause right now. Rob: Very good. And, folks, Dr. Bell was speaking about this in his book, “Rays of Truth – Crystals of Light”, about 15 years ago, explaining, of course, we have various beings that we live in. We are a being and we’re supporting many bacterial lives just as we have a planet that has a life that is part of the solar system. And the sun would be considered the pineal gland. The Earth would be considered the heart chakra. Our sun is considered the heart chakra in the local system of which the Pleiades is the pineal gland and all of this is connected to the one life of the central super universe cluster through our galactic central sun called “Alohae” and then this energy is transmuted to the sun and that people of the Earth, our consciousness, is actually required . . . We have the power to stave off higher cataclysmic events with our attunement to this life force. The Earth is resonant to that. Would you agree with that that the Earth people have an influence on the relationship between the Earth and how it reacts or to the S and P waves of the solar system radiations, Cobra? Cobra: Yes, of course, because every consciousness has influence on every other consciousness. I would say every cell and living organism of the galaxy has a say on what’s going on here. And as I said before, if there is healing taking place here on the surface of the planet, that creates huge waves of energy throughout the galaxy simply because the Earth is the focal point of the resolution of the cosmic anomaly. And this is not by chance that the planet Earth was chosen with a very highly evolved cosmic architect to be the focal point, the melting pot, of various races when very different, divergent galactic cultures could interact and resolve this cosmic anomaly. This is why everybody wanted to come here. This is why the Dracos came here. This is why the Orions came here. This is why the Pleiadians came here. This is why everybody wanted to be here to take part in this experience and, on a very deep level, everybody wanted to resolve this cosmic anomaly. And now we’re in the final phases so why this is happening right here is the focal point of the whole galaxy to resolve this and bring the galaxy back into balance. Actually, there is an old galactic prophecy of the time when the whole galaxy will be light when the galactic network of Light will be completed and planet Earth and the solar system is the last point to be included in that galactic network of Light. And everybody’s waiting for the transformation to be completely here. Rob: Right. And we can be part of the transformation. Corey, we talked about my little thing on the sun, if you want to comment on that or Cobra’s stuff? Corey: Yeah, and what’s playing out here on Earth is playing out on multiple planets within the 52 stars in our local star cluster. The heliopause leaves off with (where) the heliopause of Alpha Centauri leaves off and begins. So these stars in the local star cluster are also connected, not only through the cosmic web, but in a more direct way through physically, you know, directly. And in our local staff cluster there have been all of these different planets that have had these Draco groups and other groups kicking dirt and causing problems just like they’ve been doing here in our solar system. So there are a lot of things playing out on different planets in our local star cluster. And all of it’s tied together and all of it has to come together in some huge beautiful cosmic symphony. We’re more focused on what’s going on in our solar system, and we’ve seen many intel about what’s going on in our solar system, but our local star cluster has been a big issue for the wider galaxy. And that is something that is being corrected at this time. Rob: So we have a lot going on and most of us just need to focus on our own lives really and just raise our vibration. All this is very interesting. 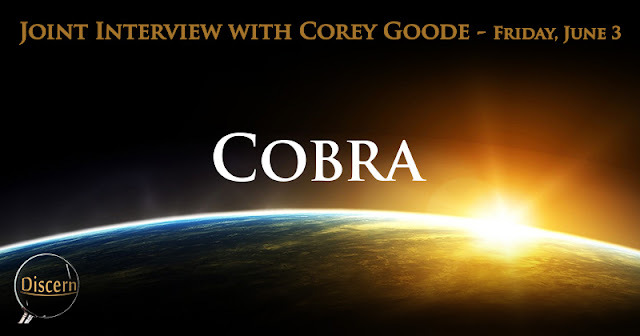 Corey, you probably are not aware, but Cobra has put out a very powerful document that I resonated and a lot of people resonated with, and it’s called the Galactic Codex. And it’s kind of like the laws of Hanbury or the code of ethics or the Ten Commandments . . . it’s kind of a statement that is allegedly used throughout the galaxy and determines a planet’s free will. I’m going to have Cobra break this down for you and then I’d like you to tell me if you’ve heard about this. For many of us, for me, it’s very valid and it’s been violated. And that’s why we’re having engagements with some of these regressive ETs. Corey: Yeah, I’ve heard of these edicts, these things being set up. They’re slightly different for every solar system, for every culture, depending then on how they developed. The root of them are basically the same. Rob: Cobra, could you share your Galactic Codex? Is this a galactic codex or is it different solar system by solar system from your knowledge? Cobra: Okay, I would say that’s the spiritual evolution of the galaxy starts from the galactic center. So, around the Central Sun is the most light and this is where the so-called Central Civilization evolved. And when it was expanding throughout the galaxy, it was creating a network of Light and assisting in the development of other races throughout the galaxy and together they have discovered that there is a certain inner code which is not written anywhere. 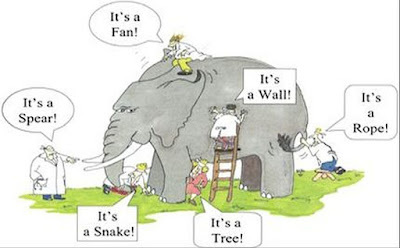 It is just how things are, how societies, the divergent societies, can co-create and co-exist. And the Galactic Codex, that has been published on my blog, is just, I would say, an interpretation of that inner truth which is aligned with human mind. So I would say the underlying truth is the same throughout the galaxy, but the way beings perceive or interpret that is according to their own development and their own understanding of the truth. But some basic rules are the same. There has been a lot of talk about non-interference like it is a cosmic law. It is not. Non-interference was just an excuse for the Archons to keep planet Earth occupied. What is really happening is if a certain entity on a certain planet wants to create contact, that contact should be granted. And the reason why this contact has not been granted on planet Earth is not because of the law of non-intervention, or non-interference, but because somebody was and still is preventing contact. And if people begin to understand that, we will make one big, huge, planetary leap towards Full Disclosure. To understand why Full Disclosure is not happening now, it is not because there are no beings out there that would like to contact us, but because somebody is preventing that contact by taking humanity hostage. So when this hostage situation is resolved, full contact will happen. It’s a natural law. It’s our birthright. We have a right to be speaking with our star brothers and sisters. We have a right to interact with them. This is our divine birthright. And this is what I’m fighting for. Rob: Corey, could you comment on what Cobra has said here in regards to that it’s really not free will that they don’t interfere here with . . . the reason why we can’t be contacted and all that? There is an indication that our free will has been gone around here. It’s more of a safety issue and a hostage. Can you comment on your views on that? Corey: In the Super Federation, the laws of free will are important and mentioned, but the laws are kind of soft and loose-knit. There’s ways around it. And they have obviously found ways around the laws of free will. Now, the fact that they were having open battles in the skies above developing humans for tens of thousands of years up until very recently, up until the point in time when they signed these accords after the time of Mohammad. That tells a lot. That to me, that’s openly and directly interfering with the development of a world genetically, spiritually and on-going interference with our civilization on a sociological level. Rob: Right, and one of the articles that I have posted repeatedly, and I hope people will really get, is “The TerraKor Files – An Overview of the Omegan Situation” where it talks about the syndicate and indicates that the reason these treaties were signed is both the confederation, the alliance, and some of these syndicate, dark, regressive ETs had been in major battles that have decimated all sides. And at all costs, they want to avoid this battle. And would you both agree this is why hostile groups can share bases on the moon and yet respect each other’s space sort of. I’ve heard there are incursions and attempts all the time in these bases. Corey: Oh, really? On the Moon? Rob: Yeah, the Moon. There’s both positive . . . There’s Nazi bases, Dracos, next door to Confederation and Pleiadian and positive bases. Is that correct? Corey: Yeah, they’re all kinds of embassies up there. A large part of it’s controlled by a negative group, but with all of the agreements that have been signed, especially on the moon . . . The moon is kind of like Antarctica. It’s all split up and it’s a major diplomatic area, but, you know, there’s fighting going on down in Antarctica. The only people that have attacked or have done anything to the moon has been us. Humans. These lower military Secret Space Program factions have launched all kinds of things at the moon. And they’re the only ones that have done anything overtly hostile. It’s a very delicate balance up there, but none of these groups are going to take a chance of screwing up. Rob: Right. They don’t want to escalate into a full-blown conflict that could reach galactic proportions in the solar system. Cobra, your comments on the diplomatic relations on the moon and how this tenuous cease-fire to a certain extent is taking place between these various groups. Cobra: Okay, first I will describe a situation on the surface of the Earth. Yes, this was true there were many treaties signed because if those treaties would not be respected we would have two things happening. We would have Reptilians openly eating children for breakfast, and we’d have Pleiadians rescuing the victims of car crashes. And both things happening at the same time could lead to extreme actions, so this was not to be advised. And this is why this uneasy treaty has been signed. And part of this treaty is protecting us, so part of this treaty was to protect the light workers and the light warriors. But on the other side of the coin, the same treaty is protecting the most visible Cabal members. So it goes both sides. And this uneasy treaty is being respected to a certain degree by all beings, of course, not completely. There have been things happening on both sides. But this treaty will be respected until the time of the Event when the surface of the planet will be liberated. I can confirm that what Corey has described for the Moon, has been happening on the Moon until quite recently. I cannot confirm that is what is happening there recently, but yet we have been . . . there have been many interest groups there with quite strict areas where they could move and they have to respect their borders otherwise they could have mutually assured destruction. And most races have discovered and most factions have discovered that that is not a safe option. So they tended to avoid direct open combat, direct open confrontation, because they understood that it would be the end of the story for them as well. Rob: Yeah, it’s very sad our solar system is kind of a microcosm of the Earth and hopefully it’s a shame that they even have borders on the moon at this time. Hopefully, this will be resolved. I’m going to ask Corey this question first and then Cobra. Lot of questions about the moon. It doesn’t rotate. Corey, what is your story of the history of the Moon? Is it artificial? Is it brought from another area? Was it a spaceship? What’s the story of the moon from your perspective – it’s history and it’s locked orbit? Corey: It was a natural formation that was hollowed out and made into a giant ark. It may have been a part of the original defense network that was created by what they called the Ancient Builder Race, which was in operation up until the moment when this Super Earth blew up. It brought down this defense grid that was around our solar system and also protected the solar systems of the local star cluster. When this technology went down, all these different races that we refer to as genetic farmer races, began to come in and, you know, mess around with us, with our genetics and just doing whatever they wished. Okay, I’m sorry. What was the original question? Sorry, I got off on a tangent. Rob: That’s okay. You kind of answered it. So for you, it was a . . . It’s a natural created planet or moon that was created originally naturally and that was hollowed out and used as an ark possibly by Ancient Builders. Corey: There is conflicting information about it from the different groups that have looked at the information when there have been archaeological expeditions throughout the Moon. Depending on the group and their point of view or religious beliefs, they’ve come up with several different perspectives about what the Moon is. Rob: Okay, Cobra, I’d like you to comment on your understanding of the Moon. Does this coincide with what Corey’s told or do you have a slightly different perspective? Cobra: The Moon is a natural object which has an orbit that is locked to the Earth and this is quite a natural occurrence through most of the solar systems. It has not been hollowed out, but it has been honeycombed, which means that there have been tunnels dug below the surface of the Moon. There have been tunnels expanded through the natural lava tubes, underground cities and the various civilizations have been using those for quite extended periods of time. And I would say it’s a natural satellite. It’s nothing artificial about the Moon, but, yes, it has been used for many purposes in its past. Rob: Okay. Thank you, both. That’s great. This is a kind of more for Corey question, but Cobra can you answer. Corey, we’ve spoken about this before, and this is from one person, but it’s not saying that you don’t think there’s positive galactic federation, but, again, your . . . so far in your narrative, you have given us the ICC, the Nazis infiltrating, this kind of hostile what’s going on with the Dark Fleet. We know you’ve gone to these Super Federation meetings. Corey: There, again, we’re throwing around ‘positive’, ‘negative’ and all this kind of thing. This Super Federation is a super federation. It’s made up of other federations, and these federations are made up of hundreds or thousands of solar systems, if not more. So this Super Federation could very well be made up of some of these groups that this person mentions, but they’ve not identified themselves in the same manner that people are identifying them on Earth or online that I’m hearing. These groups, just as I’ve stated, some of them are positive from our point of view. They seem to very much want to help us even though they have their own agenda, which any beings that have their own agenda. Some of them really wouldn’t mind seeing us replaced with what they consider more responsible caretaker beings on this planet. So it runs the full spectrum between the people that are a part of this Super Federation. For the most part, most of them are what we would call, from our point of view, positive. They want us to progress. They are a part of this Grand Experiment. We’re a part of this Grand Experiment. And if they want to progress, they want us to progress. So that’s the best I can explain on that. Rob: Okay, thank you. 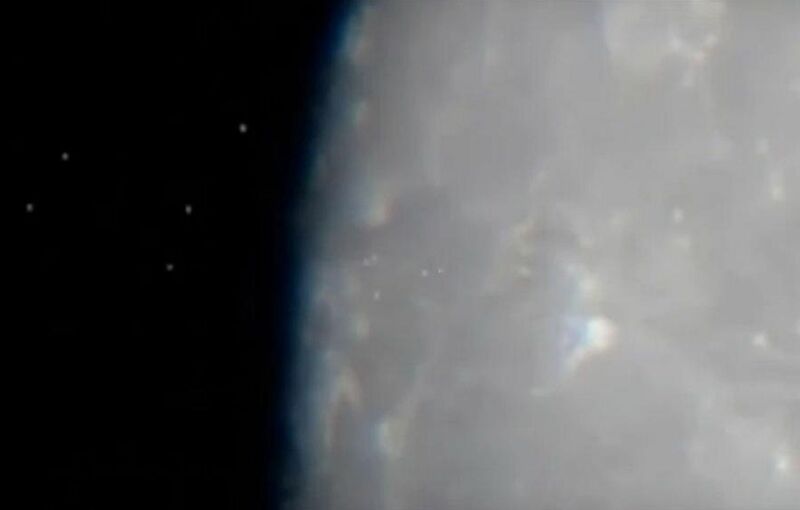 I was thinking, obviously, we have this Ganymede that Cobra’s talked about that my friend Luis has been to this artificial moon, and it is a training ground for guides and teachers. And it’s a group that very much has motherly-loving instincts. It’s like a sore foot. We’re a sore foot in the galaxy and they’re here to mend it through mentoring the human consciousness field. So when I say ‘negative’, I know that’s a judgment and good and bad and all that, but I mean I’m talking about the groups that are working with the government and Agenda 21 – depopulation. Corey: The Super Federation, they’re a much higher level. Most of the people in the Secret Space Programs are not even aware of these groups. 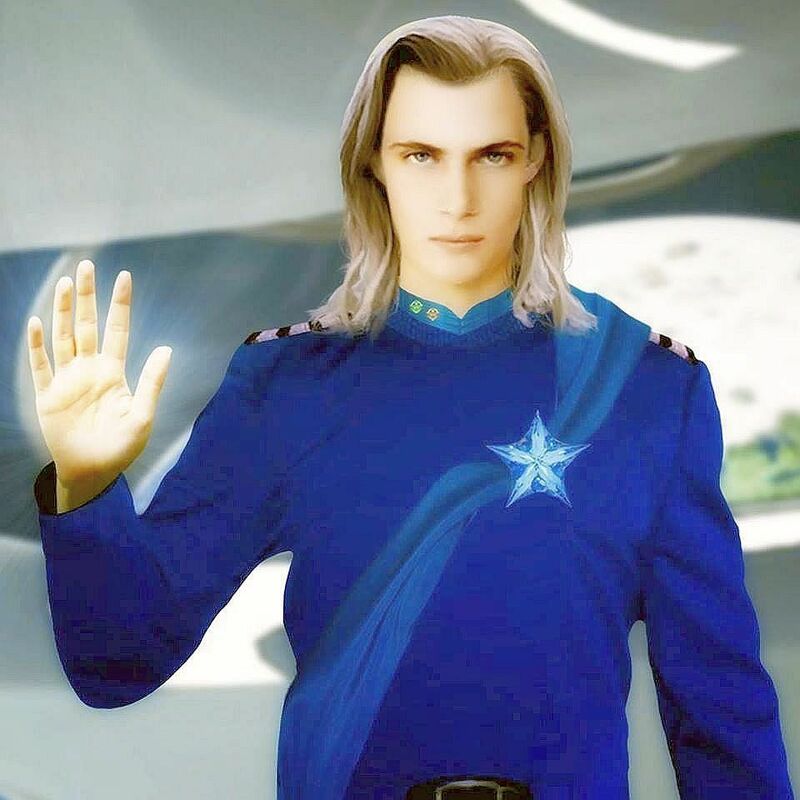 They’re aware of more of the groups that they’re dealing with like these Draco groups or these other groups that have come in that are not heavily partaking in this Super Federation. Rob: Right. My point being that what I consider . . . When I use the word ‘negative’, I’m not trying to deny an entire race of absolution or changing in any way, but when a race is violating the Galactic Codex, that’s the groups that I’m talking about that would be negative and it seems, you know, the viewpoint from some people is that the reporting and yourself . . . And I know we have a lot more stuff that we’re just waiting to hear. We want to hear details: who you met, what group they were, what they said, what their opinion is, what you could reveal about their positive plans. Do you have anything on that? Corey: Well, there is some information that I have revealed and is yet to be released on Cosmic Disclosure that we’re having to do a little more editing. I ended up giving a lot of descriptions and a lot of operational information that I was told it was okay to share, but then some of these groups did not appreciate it. So there are still some things that I need to ferret out before I share information, especially in terms of what occurred most recently between Gonzales and I with an incident where I was picked up and questioned by a competing faction that has caused a lot more stress and issues between the SSP Alliance and myself. So I have to be a little bit careful not to rock a already very rocky boat. Rob: Cobra, I’d like your comments on that aspect between the positive and the negative alliances out there. And are they really communicating? You mentioned the Dracos don’t communicate. They don’t take part. Cobra: First, I need to say there is a Galactic Confederation that is positive. It’s very real. They have actually saved my life many times, so they are very real, at least to me. And there are many races that belong to that confederation. And it is, from my perspective, the most powerful group in the galaxy, because they live in a reality of cosmic love. And they don’t have any, I would say, bad motivation, any agenda. They simply would like everybody to have that experience. They have a natural tendency to share and expand that galactic love and experience throughout the galaxy and to heal the anomaly which exists here. This is their primary motivation. And as the galactic network of Light expands throughout the galaxy, more and more races join through a process of integration to this galactic network of light. Through that process their sovereignty and integrity is respected and they enter this alliance as equal participants in the galactic evolution process. Races that don’t want to cooperate are basically mostly races that have an agenda, especially races that want to dominate other races, for example like Dracos. And there remain negotiations with Dracos, but their negotiations style is not an attempt to find a solution. It is more for them to enforce their own way. So, at a certain point, they have to be enforced. They have to be put in certain situations where they cannot harm others, because by harming other races, they are violating the Galactic Codex. And every race that oversteps certain boundaries needs to be dealt with. And now races that have overstepped the boundaries inside of the solar system, are being dealt with. It is that simple. Rob: Cobra, with the great force that will come forward and neutralize these negative forces, perhaps with the technology of the Blue Sphere Alliance which seems to be able to repulse them, what is going to happen to these negative races? Will they actually be arrested? We’ve mentioned that some will be sent to the central sun to have their souls reset. Will some slip through the cracks and continue in other areas of the galaxy? Or is it intended that some of these beings are placed on quarantine status in other worlds where they work things out? What’s going to happen there, Cobra, to these beings? Will we have to revisit this situation in a million years? Cobra: No. This is the final clearing process of the galaxy. All of the individual sentient beings that belong to those races will be given certain choices. If they want to cooperate, they will be given assistance. There were many attempts, positive attempts, to give them space to think about it and realize that the positive path is the path that makes more sense. If they don’t want to cooperate, they will have to go through the restructuring process, because darkness has a certain time slot in the history of the universe and this time is almost over. It’s game over for them. It doesn’t have any purpose in the evolution. It is simply an anomaly which needs to be corrected. Rob: Thank you very much. Corey, Cobra has a very positive view of the future. Do you have any information . . . I know you’re dealing with a little . . . a lot of the Secret Space Program stuff, and I’m sorry for the violation of the group that contacted you again, but can you tell me, do you have this kind of confidence that the Blue Sphere Beings indicated to you that this is going to be healed once and for all and that it’s a galactic-wide cleansing and healing that’s going to take place through the planet Earth’s liberation? Corey: Yeah, that’s very much the entire reading why they are here. That is their purpose. That is their mission. So I have to have faith and belief that it’s going to be the ultimate outcome. Rob: Well, folks, that was a great interview with Corey and Cobra, Part 2. I hope you enjoyed that. To let you know, folks, they have agreed to do another interview. We’re going to let some time pass here and we’ll revisit this. They both have extremely busy schedules. It was very difficult to get them together, but we’re going to do it again.